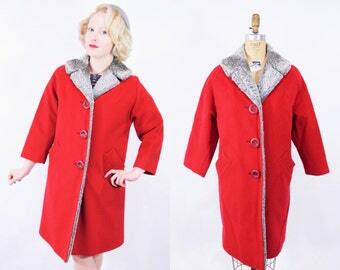 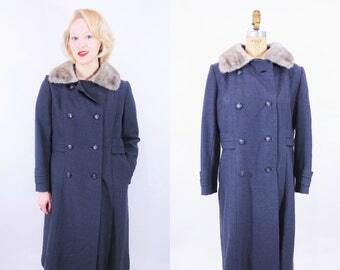 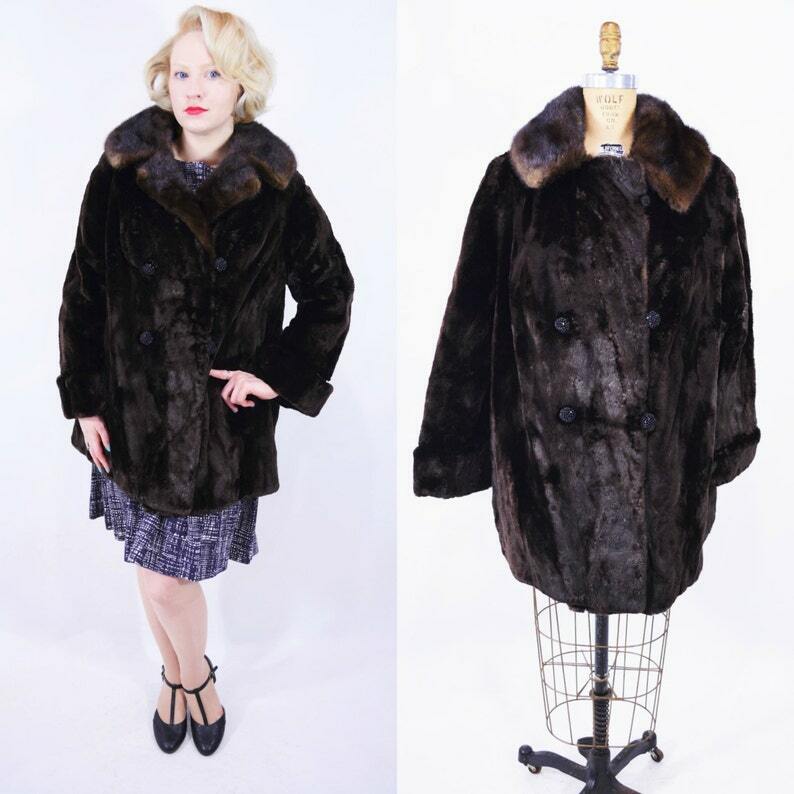 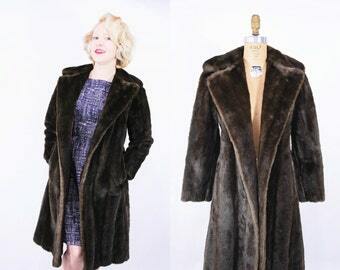 1950s pin up coat | Mano Swartz glamorous dark brown fur coat | B 47"
This 1950s coat is the most luxurious coat I have ever laid my eyes and hands on! 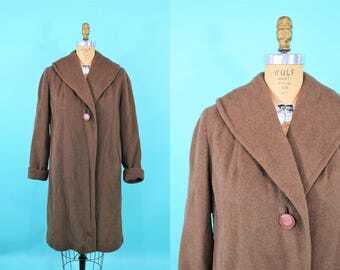 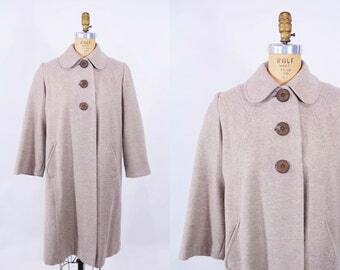 It is so silky and soft you could probably fall asleep just upon inspection ;) But wake up and take this beautiful chocolate brown coat on the town! 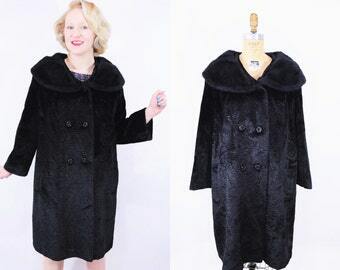 She has beautiful black jeweled buttons and a different fur on the collar. 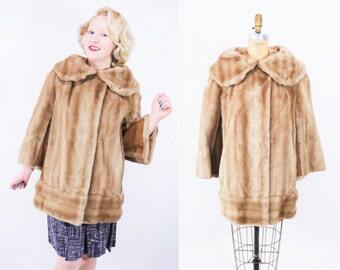 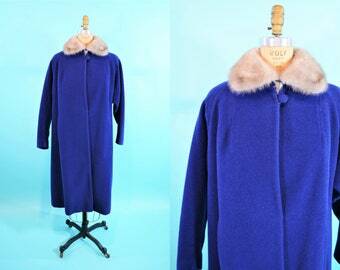 I believe the collar may be mink I don't know if the body of the coat is real fur or not. 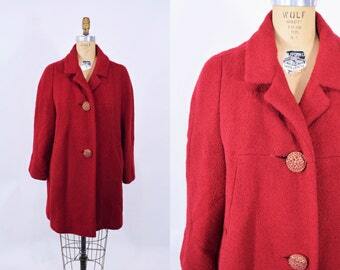 Has a gorgeous floral lining and name embroidered inside. 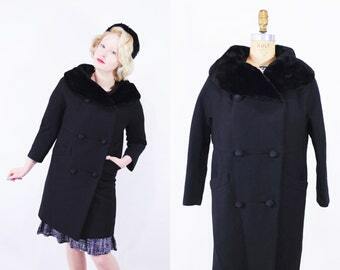 1960s faux fur coat | black glamorous vintage winter coat | B 48"
1960s swing coat | Lord & Taylor chocolate brown fur collar vintage coat | B 45"
1970s glamorous coat | Lilli Ann faux fur peter pan collar vintage coat | B 42"
1960s faux fur coat | vintage princess coat | B 34"
1950s red wool coat | vintage gray faux fur lining | B 45"
60s fur collar coat | charcoal vintage coat | B 40"
1940s button coat | vintage L'Vello Cuddle wool coat | B 44"
1960s fur collar coat | black mod double breasted vintage coat | B 44"
1960s tweed coat | red dropwaist plaid Dannybrook vintage coat | W 50"
1940s brown coat | B Altman & Co large collar wool coat | B 41"